Thank you for being part of The Christmas Shoppe! 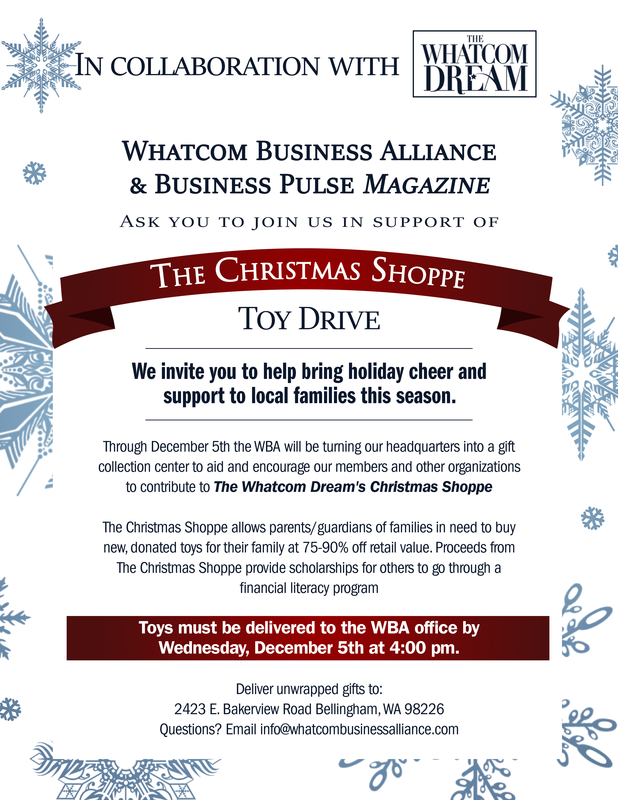 Because of generous people like you, we are able to offer a “hand-up” shopping experience for Whatcom Dream’s hardworking families at Christmas time. At the event families will enjoy dinner, followed by a time to pick out and purchase brand new gifts for their children at 75% off retail! The event will take place on Dec 7th at 6pm at Northlake Church at 1471 McLeod Rd, Bellingham. The following suggested list is intended to aid you when you go to the store to purchase the items you wish to donate. We suggest gift cards for teens, which allows the parent to purchase a clothing item for their child at the store. Fred Meyer, Old Navy, American Eagle and Target are our favorite picks for gift cards. Each gift card will be sold at 75% off the original purchase price.